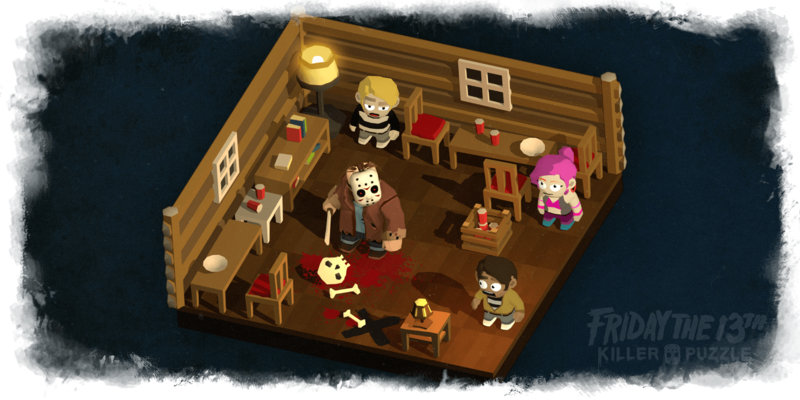 Friday The 13th Killer Puzzle has quickly become a very popular game on the app store and there’s a lot to love about it. The gameplay is fun, but what it really comes down to are some of the choices the developers made to ensure that Killer Puzzle turned out to be a great game. If all other mobile game developers were to follow these steps, we’d probably have many more great mobile games on our hands. Here’s a look at the things that Friday The 13th Killer Puzzle does that all mobile puzzle games should do. Whilst Friday The 13th Killer puzzle does have in-app purchases, all of the in-game content is free to play. You can spend money on hints and solutions for when you’re stuck on a level, but they’re very rarely needed. In the case where you do need a solution, you can just do a quick Google search to find results anyway. 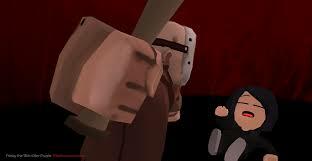 For that reason, most players won’t need to spend money on Friday The 13th Killer Puzzle. The in-app purchases are mostly there for those that want to support the developers for the game that they have created. Friday The 13th Killer Puzzle has dozens of levels to play through, spread out across multiple stages. It’s important that there are so many levels because some of the levels are very quick and very easy to solve. Instead of throwing a short number of puzzles at you that are frustratingly hard to solve, Friday The 13th Killer Puzzle gives players puzzles that take just a little bit of brain scratching to figure out. It feels rewarding to solve puzzles but they’re never so difficult that you have to stop playing altogether. And when you do need to do that, it’s no issue because the levels are always very short and the game is very easy to get back into. As you continue to play through the different stages in Friday The 13th Killer Puzzle, the game introduces new puzzle elements and new mechanics to add more complexity to the game. Over time, the puzzles do become more challenging. This is the classic game formula – games usually start off easy and then get more challenging as the player puts more time into it. Getting the right mix of difficulty is hard, though, and many puzzle games get it wrong. Many puzzle game developers find it difficult to rank how difficult their puzzles are and this ends up with it being a broken, un-coordinated mess for the player as far as the difficulty curve goes. This doesn’t seem to be the case with Friday The 13th Killer Puzzle. The difficulty curve is a constant trend upwards and you quickly fall into the rhythm of this and can almost predict when things will start to get slightly more challenging. This game design is perfect for creating a casual puzzler that’s never too taxing on the mind but still offers regularly, moderately challenging gameplay moments throughout. 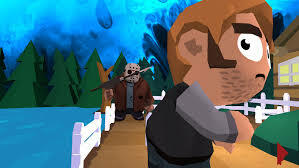 More games should follow Friday The 13th Killer Puzzle by releasing their game on multiple platforms. 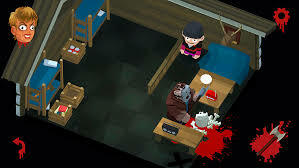 Killer Puzzle can be played on both PC and mobile and the experience across both versions is very similar. If you’d rather keep your progress, you can just use Bluestacks to play Killer Puzzle and you can log into your Google account and carry on from where you left off. The controls used for the mobile version of Killer Puzzle work very well on Bluestacks. 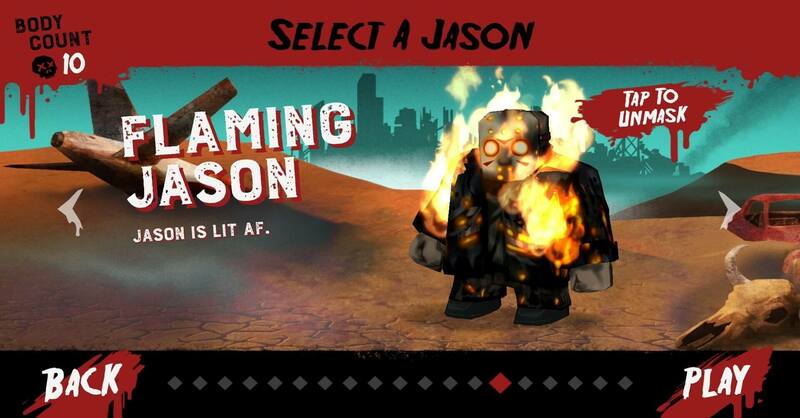 We couldn’t help but notice how great Friday The 13th Puzzle Killer looks. The graphics are simple, yet they are done well and very aesthetically pleasing. The developers have opted for a graphics style that’s easy to implement without impacting gameplay performance, and for 3D mobile games, that’s very important. Despite the 3D graphics, Friday The 13th Killer Puzzle works incredibly smoothly on the majority of mobile devices. You’ll occasionally get the chance to open up loot boxes in Killer Puzzle, but the items you can get from the boxes are just cosmetic items. Many mobile games give players the chance to get rare loot that provides gameplay benefits by spending money on loot boxes and I think this is the worst thing to do if you care about the player experience. 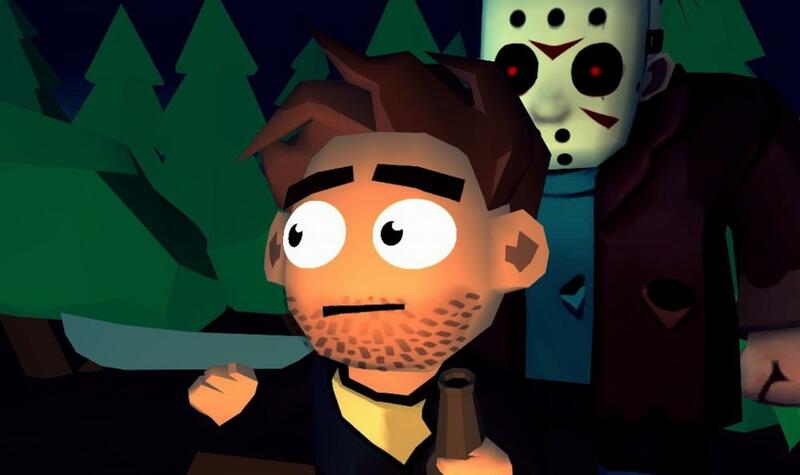 The cosmetics and loot boxes in Friday The 13th Killer Puzzle manage to add some additional fun to the game, but they don’t actually change gameplay in any way and they certainly don’t give players any additional advantage. If you don’t want to spend money on Friday The 13th Killer Puzzle but need some help on a level, you can watch a video advert to get a free hint. This type of revenue in mobile games allows developers to earn revenue from advertisers but only when the player wants adverts to be seen. No adverts will show in between levels or during gameplay, which is very important for keeping the player immersed and engaged in the game. Have you played Friday The 13th Killer Puzzle yet? Let us know what you think of the game. If not, we are sure you want to start now!